A few years ago I had to take a personality test for work. StrengthsFinder‘s shtick is that it focuses on areas identified by the test-makers in which you excel and not areas in which you could improve. My top five strengths (including “Analytical”, described with a sentence that begins, “You do not necessarily want to destroy other people’s ideas…”) were left-brained, logical and cold. They basically indicated that I’m Mr. Spock. Some versions of StrengthsFinder will also tell you the characteristics in which you are less strong. Normally, I would call those “weaknesses”, but the test’s feel-good doublespeak doesn’t allow it. The area in which I am weakest most not-strong is WOO. WOO stands for Winning Others Over and not the act of wooing someone, even though one could argue that to woo is to Win anOther Over. (There I go, being all analytical and destroying other people’s ideas.) WOOers attend parties full of strangers and chat up a storm. They make friends in an elevator. 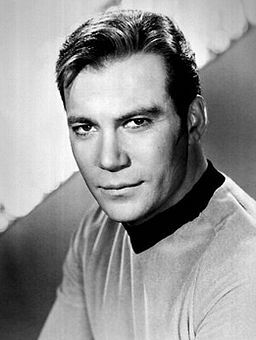 Captain Kirk is an uppercase WOOer. And a lowercase wooer, for that matter.